Quantum Break is the latest PC game to suffer from major technical issues at launch. It's pretty clear that Remedy Entertainment didn't put as much effort into the PC port as they should have, and only now is the developer willing to address some of its problems. One of the most frustrating issues with Quantum Break is related to frame pacing, which causes massive amounts of stuttering during gameplay. Remedy says they've discovered a "major rounding error introduced into our refresh rate predictions on shipping" that can be attributed to the issues, and this will be resolved in a future update. 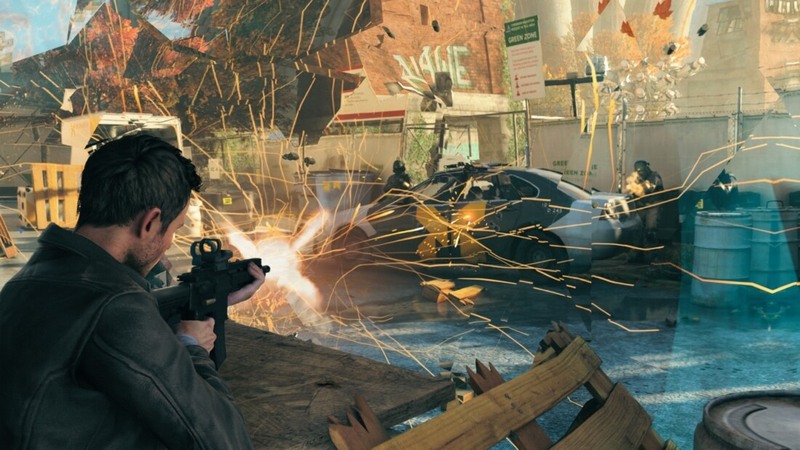 As for performance issues and crashes, Remedy has been working with AMD and Nvidia to ensure the experience on PC is up to scratch. The latest drivers from both companies should help somewhat in this regard, although the developer is still working on addressing some non-driver-related issues such as slow performance after long gaming sessions, and crashes on launch. Remedy will also be addressing some major oversights in the PC version of the game, such as no option to quit the game from within the menus, and a serious lack of image quality options. The developer also wants to unlock the frame rate of the game, although currently that's not possible to restrictions on UWP apps that will be lifted by Microsoft in May. However there are some major issues with the PC port of Quantum Break that Remedy won't be fixing. There will never be any multi-GPU support for the game as "the work needed to support multiple GPUs would have been significant" due to the game engine's architecture. This will come as a disappointment to those attempting to play at ultra high resolutions, which typically require powerful multi-GPU setups. Remedy also won't be fixing critical issues with the game's render resolution. For some bizarre reason, the Windows 10 port uses the same "reconstruction method" as the Xbox One version, where game assets are rendered at 2/3rds the native resolution, passed through 4xMSAA, and then upscaled. On the low-power Xbox One these techniques help improve performance, but on PC they are unnecessary and result in poor visual quality.